When looking at the road map of today an abundance of towns lie on route from Cape Town to George in the Western Cape. Why is it then that George has a longer history than most? Is it perhaps that early travellers to this region already recognised its natural beauty and commercial potential? So who were the people that put George on the map? I learnt from the book 'George, the Story of the Town and District' by ELP Stals that the first explorer to this area (then referred to as Outeniqualand) was Hieronymus Cruse in 1668, only some 16 years after Jan van Riebeeck established the first white settlement in the Cape. But the area remained undeveloped and unexplored for many years thereafter. Some sheep farmers moved nearer to these parts in search of new grazing which was good due to the all year round rainfall. By 1713 the first grazing rights had been granted. The first actual allocation of a farm in the Mossel Bay area was made in 1734. It was the opinion of visitors that the soil was good and held much promise for growing corn and cattle-farming. In 1752 another explorer, by the name of Beutler travelled to this area. He noted in his journal that he visited the farm Hagel craal, east of the Little River, which was then "the last place on the eastern side of Africa inhabited by Christians". Beutler wanted to inspect the lakes with the purpose of finding a possible harbour. In this quest he was unsuccessful. In 1771 the boundary of the Cape Colony was moved eastwards to the Bamtoos River so that Outeniqualand became part of the district of Swellendam. 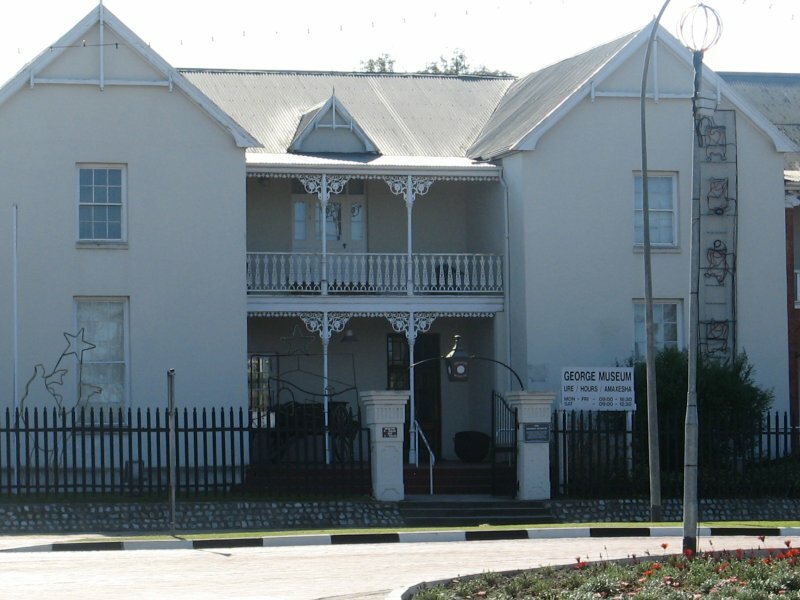 The Outeniqualand Post (Buitepos) and the Post house was realised in 1777, making it 230 years ago this year! Soon thereafter in 1779 the region was honoured by a visit from the Governor, Van Plettenberg on his way to Cape Town. It was the French traveller, Francois le Vaillant, who visited Outeniqualand in 1782, who was most complimenting in his writings about this area. He described the area as enchanting with magnificent views. Outeniqualand remained part of the Dutch colony at the Cape until 1795, when the burgers of Swellendam declared their own free republic. This only lasted until the end of that year when the English took over the Cape Government. But British occupation only lasted seven years. 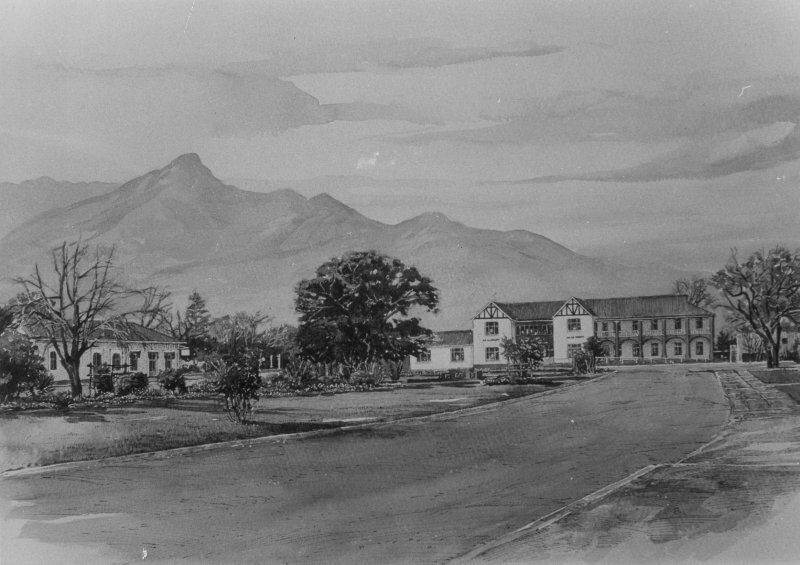 The supreme authorities of the subsequent Batavian Republic at the Cape also toured to this area but development did not take place for two reasons: it was too far from the only market in Cape Town and the road was treacherous. Furthermore, this region between the mountains and the sea was cut off from the rest of the interior. When the English took possession of the Cape for the second time, Georgetown was the first district or drostdy to be declared. The Earl Caledon necessitated the establishment of the drostdy to administrate an area which embraced the present Mossel Bay, Oudtshoorn, Carlitzdorp, Uniondale, Willowmore, Knysna and George and he issued the proclamation in April 1811. Although Mossel Bay was the focal point of much early exploration it was only established as a separate drostdy in 1848. Knysna comes along in 1844, after the amalgamation of two earlier villages of Newhaven and Melville, while in the Klein Karoo Oudtshoorn became a municipality in 1863 and Plettenberg Bay, also a point of early exploration, becomes official much, much later after the Norwegian station is abandoned in 1920. According to the most recent annual report of 2006, the present population is estimated at 170 000 residents. The population growth rate increased by 4.6 per cent per annum between 1996 and 2001, compared with 2.5 per cent for the Cape Town Metropole for the same period. George has become increasingly popular for residential, recreational and business development. The wealth of natural resources ensured that land reached prime prices due to competing demands from agriculture, recreation, human settlement and businesses. Now, nearly 200 years after its proclamation, George is still regarded as the place of milk and honey. Courtesy of the George Herald. 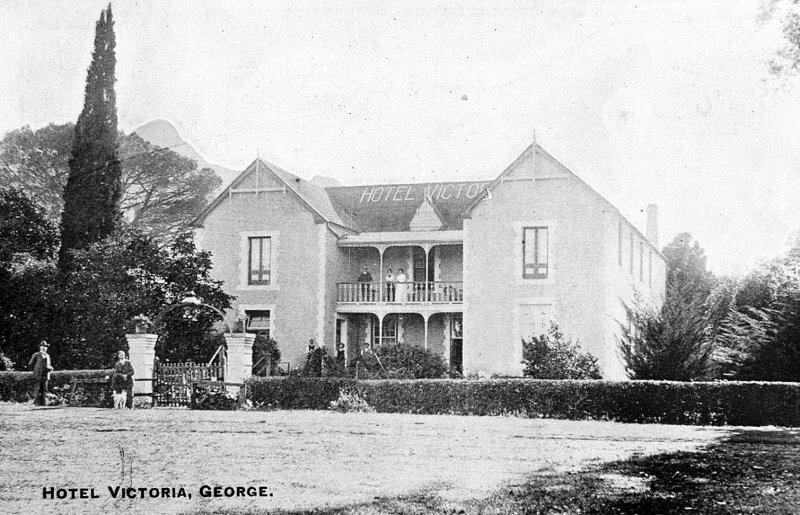 By Karin Kruger, on behalf of the George Heritage Trust.